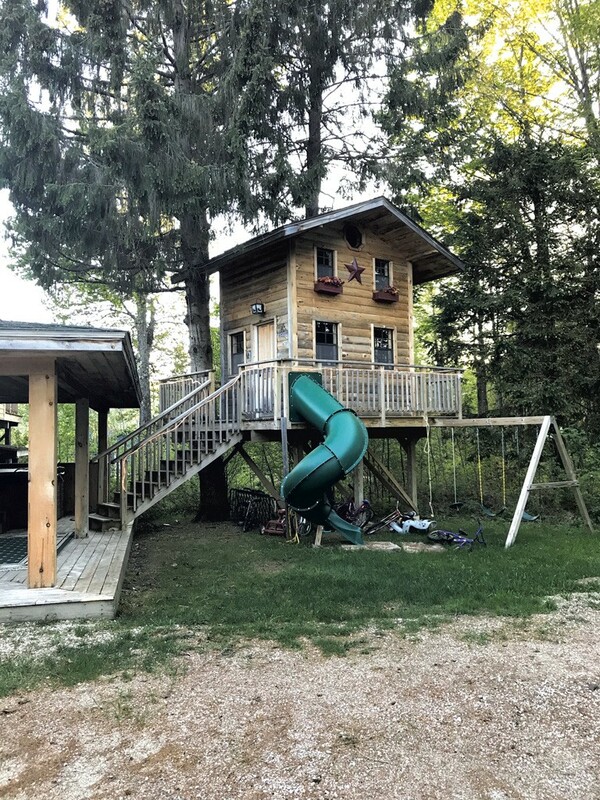 Deluxe Tree House | Habitat | Kids VT - small people, big ideas! Richard Harle was vacationing on the Jersey Shore when he caught an episode of "Ultimate Treehouses." The Animal Planet show provides an up close look at impressive arboreal dwellings around the world. Harle had always wanted to build an outdoor abode for his three kids but didn't quite grasp the logistics of integrating the structure with the trees. The show helped him understand the finer points of tree-house building. I could do that, he remembers thinking after watching it. 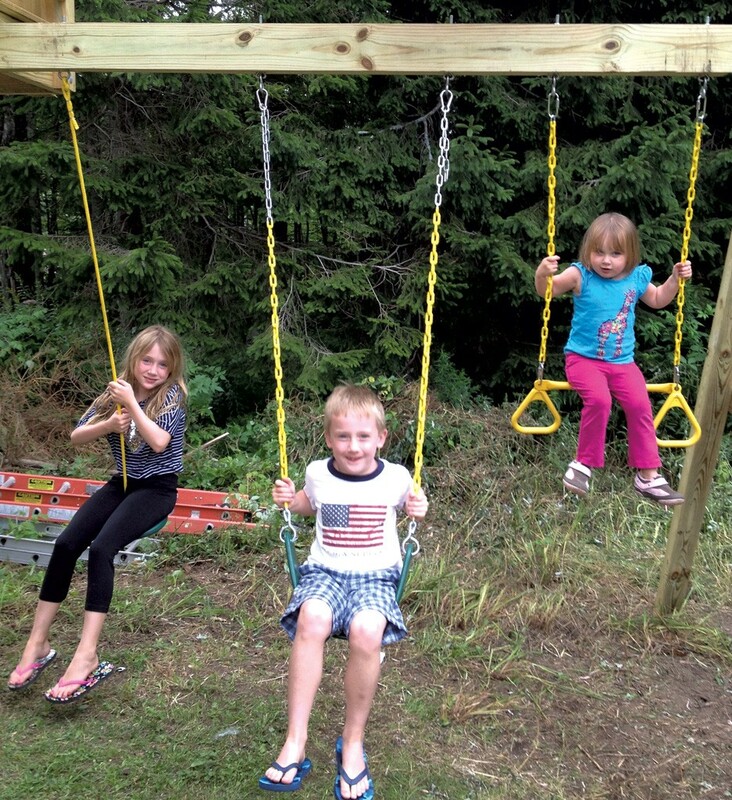 Harle, whose primary residence is in Rockland County, NY, started building a tree house behind his family's weekend home in Killington on Memorial Day 2015. It ended up taking until Labor Day. His initial plan was for a one-story dwelling, but his now 12- and 7-year-old daughters and 10-year-old son nixed that idea in favor of a double-decker design. 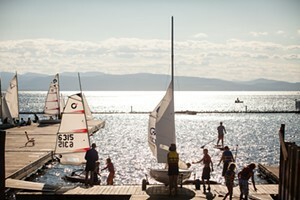 They also advocated for a slide. His older daughter's arachnophobia also informed the building process. "She said she wouldn't go in if she saw a spider," Harle explains, "so I had to seal up every nook and cranny. I had to caulk everything." The final product is a luxurious dwelling that's more home addition than kids' playhouse. 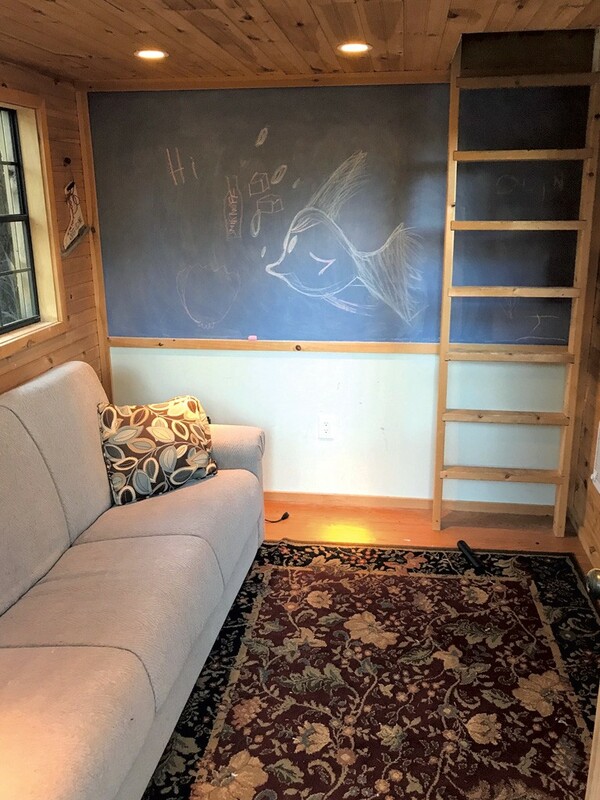 A futon couch and a chalkboard-paint wall for doodling dominate the first floor. Upstairs, there's a king-size bed, a wall-mounted flat-screen television and carpeting. In spite of the less-than-rustic interior, the tree house still affords the Harle family the opportunity to commune with nature. Harle says the family has had multiple encounters with bears while sleeping inside. "They attack the garbage cans, flip them over, wake us up in the middle of the night," he says. "We feel kind of vulnerable." That means that when the kids want to overnight in the tree house, Harle bunks down there, too. Family-owned and operated Goodro Lumber in Killington delivered pressure-treated lumber to Harle's backyard. The base of the structure is a 16-by-16-foot deck with the tree house built on top of it. The Harle family is able to use the structure year-round thanks to downstairs and upstairs electric space heaters and spray foam insulation. 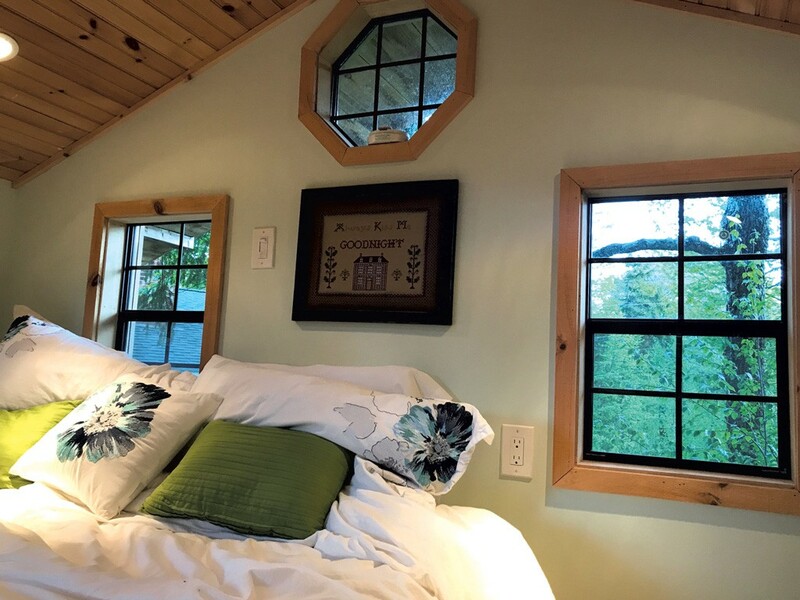 Harle ordered the metal brackets and heavy-duty galvanized bolts needed to attach the tree house to the trees, and nine tree house windows (smaller than standard house windows) online from TreeHouse Supplies. He procured an old skylight bound for the trash from Goodro Lumber. Harle nailed together two-by-fours to make the ladder that connects the first and second floors. Log siding gives the dwelling a cabin-like feel. Recessed can lights, with LED bulbs, illuminate the interior.